Daily reminder that everyone around you is going through some type of struggle and you should find out what it is and use it against them. On an afternoon walk, a handsome stranger hands you a note. 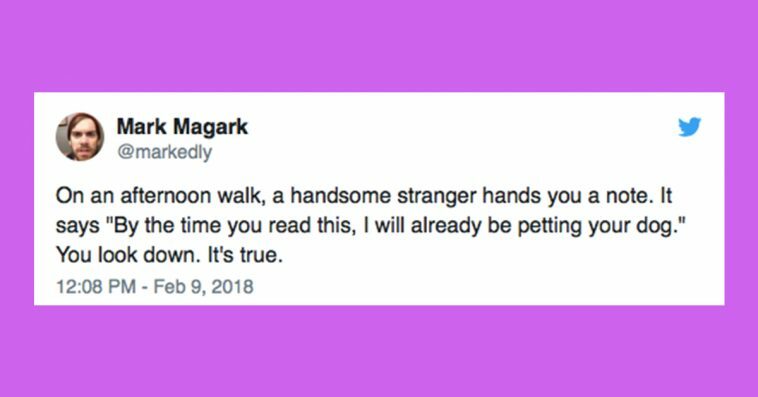 It says "By the time you read this, I will already be petting your dog." You look down. It's true. Hi nice to meet you. Let's squeeze each other's hands a little. Don't take me camping because if I see a bear, I will hug that bear.